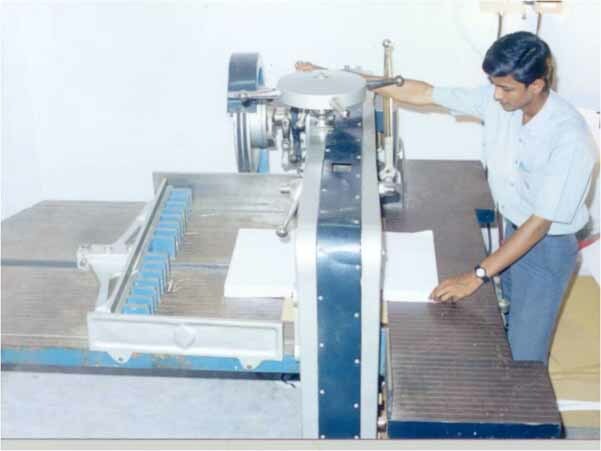 Diploma in Printing Technology was started during 1996 under the World Bank Project Scheme. 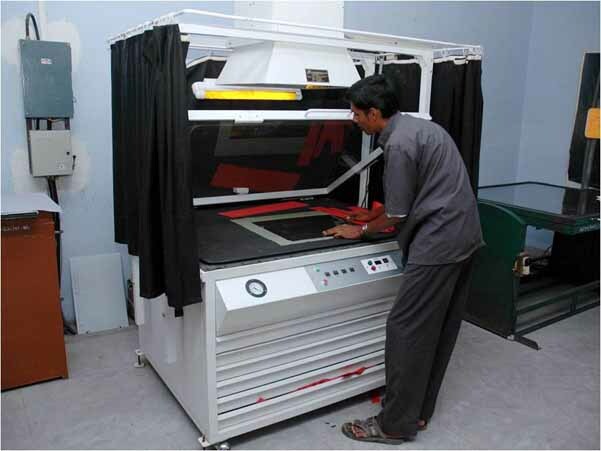 The Printing Technology Department is housed in a separate building constructed at the cost of Rs. 40 lacs with a built-in area of around 10,000 sq.ft. The department has machinery worth Rs. 2 Crores. So far 15 batches of students has pass out with the excellent academic records and placed all over India and abroad. 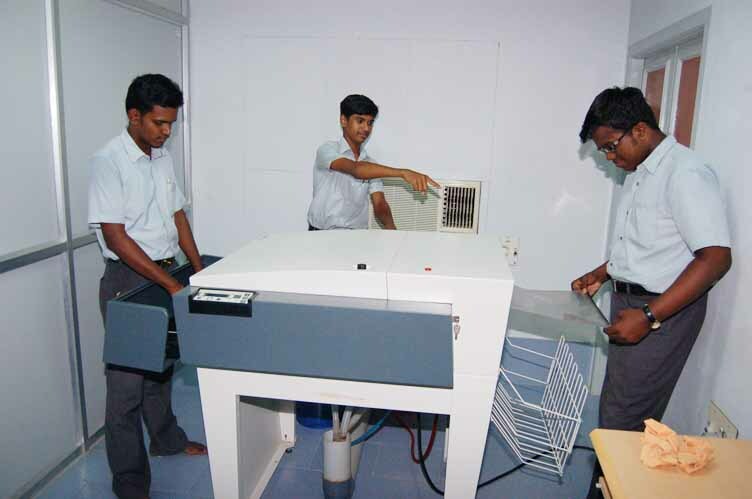 All the teaching faculties are University Graduates in Printing Technology with wide industrial experience. Our students secured State First Ranks many times in all Board Examinations. G.Anadaraj, D.P.Tech. Lab Instructor Desktop Publishing Operations, Offset Press Operations and Book Binding Operations. Dominant Single Color Offset Printing Machine – 2 Nos. 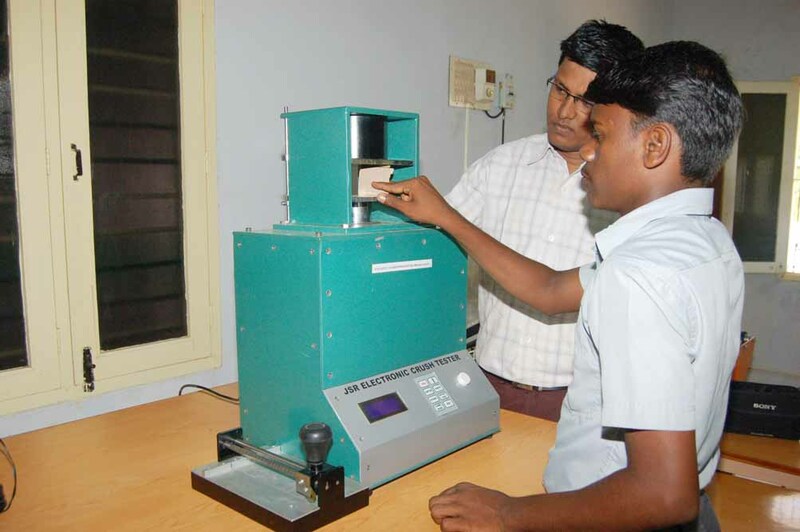 We established a Packaging Technology Laboratory by using the equipments purchased under the MODROBS scheme (Modernization of Packaging Technology lab with Quality Control Equipments). The following equipments were purchased under MODROBS Scheme. 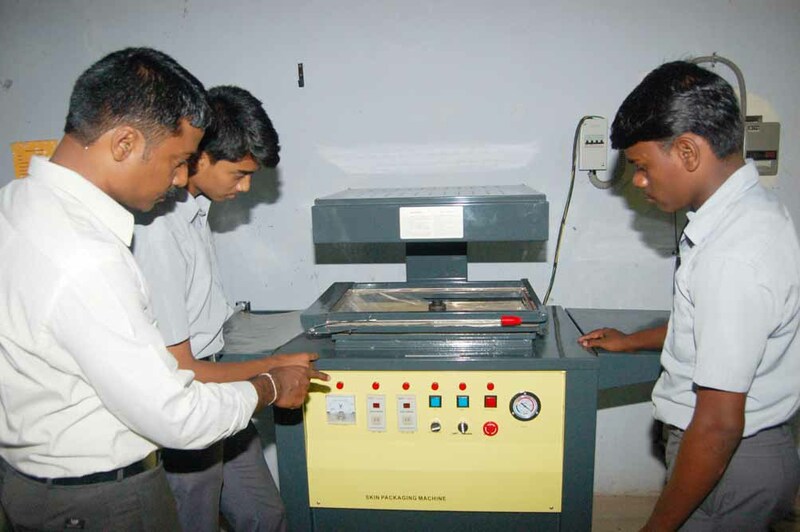 The following training course have been conducted by printing technology department under CIICP scheme. 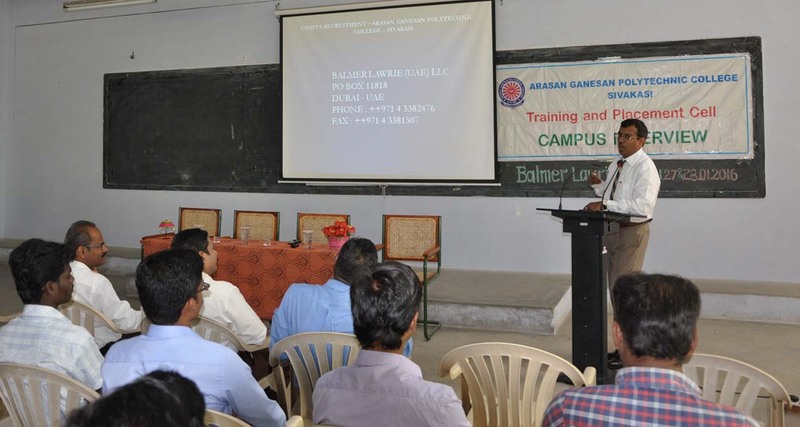 The Department of Printing Technology of Arasan Ganesan Polytechnic College, Sivakasi organized a state level technical symposium titled Arasan Dharbar IMPRESSION -2015 on 18th February 2015 to commemorate the birthday of father of Printing, Johannes Gutenberg, who was born in February. 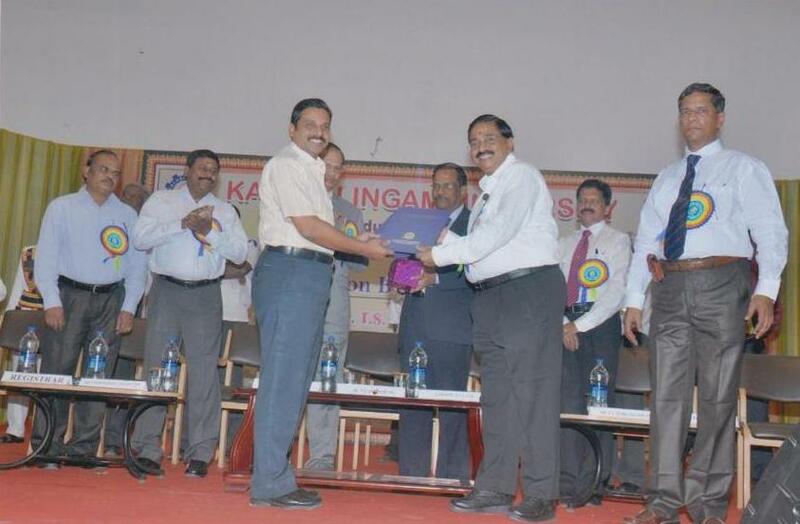 The aim of the symposium is to bring out the inherent talents of the Printing Technology students all over Tamilnadu through various competitions. A total of 34 students from Polytechnic colleges offering Diploma course in Printing Technology participated in the symposium. Various competitions were organized for the students, viz., Technical Paper Presentation contest and Designing Contest. 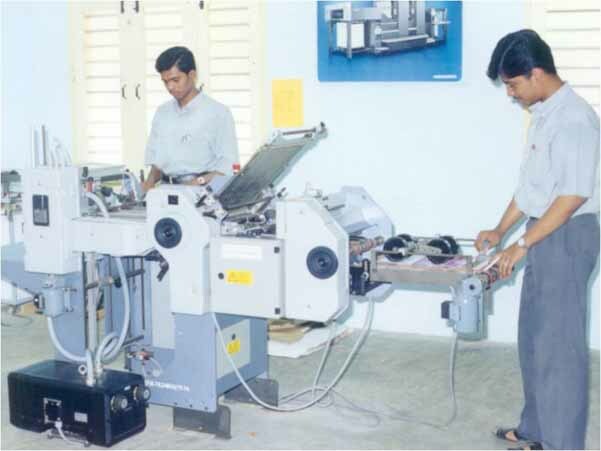 The unique setting of our placement cell activities provides a source of inspiration and discovery of new jobs to our print professional almost 100% every year. Our objective is to provide 100 % Placement for all students. Following details are the leading organizations in India and abroad, where our students are placed. In addition to excellent results in Board Examinations our students secure State Top Ranks every year. Statistics shows that our students secure almost 65% of State top Ranks. Marketing and Servicing of Printing equipments.